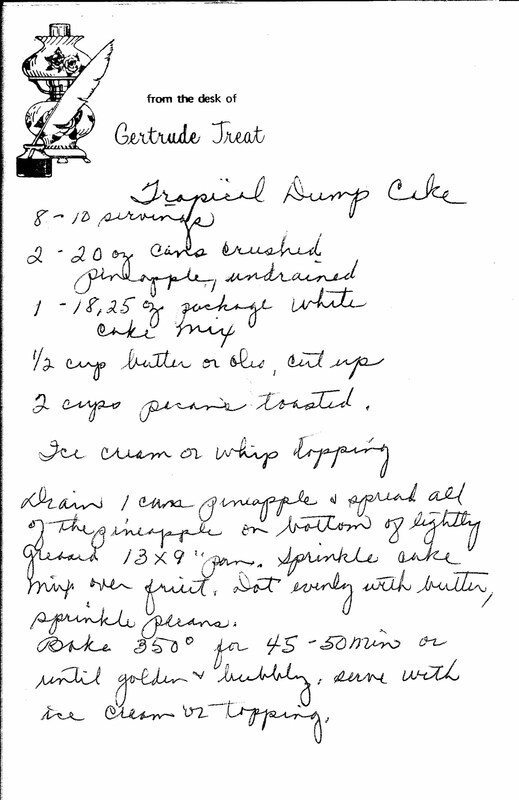 I remember eating this "cake" on visits out to Grammy's... though it's almost more like a pineapple crumble. Now I see that "package white cake mix" plays a key role in the recipe. Oh well, it's still delicious. p.s. 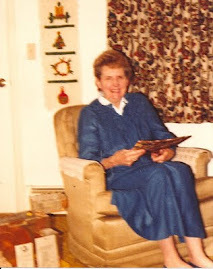 Look at Grammy Gertie's stationary. Does anyone else recall her actually having that lamp in her house? -Drain 1 can of pineapple, and spread all pineapple on the bottom of lightly greased 13x9" pan. -Sprinkle cake mix over fruit. -Dot evenly with butter and sprinkle with pecans. -Serve with ice cream or topping.